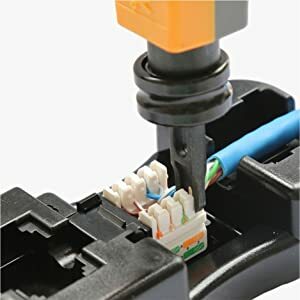 This handy punch-down impact tool is spring-loaded for terminating twisted pair cable into 110-style patch panels, connecting blocks and keystone jacks. 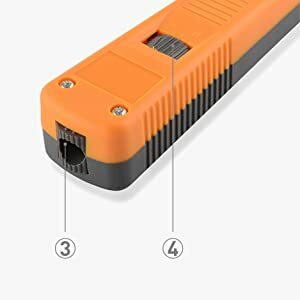 Dual function blade (cut/punch) for cutting wire or pushing into IDC terminal. 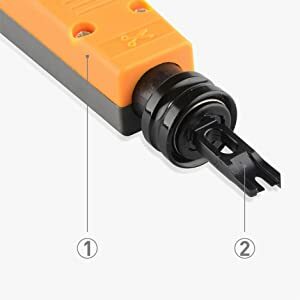 Swap the blade from the cut side using the twist and lock collar socket. The impact adjustment dial adjusts the force of the spring-action from low to high to meet different installation applications. 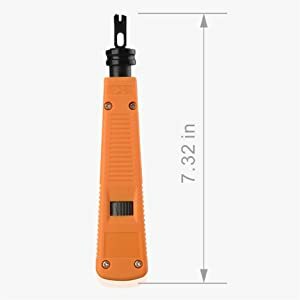 The blade can be stored in the pocket at the bottom of the tool (sharp edge first).